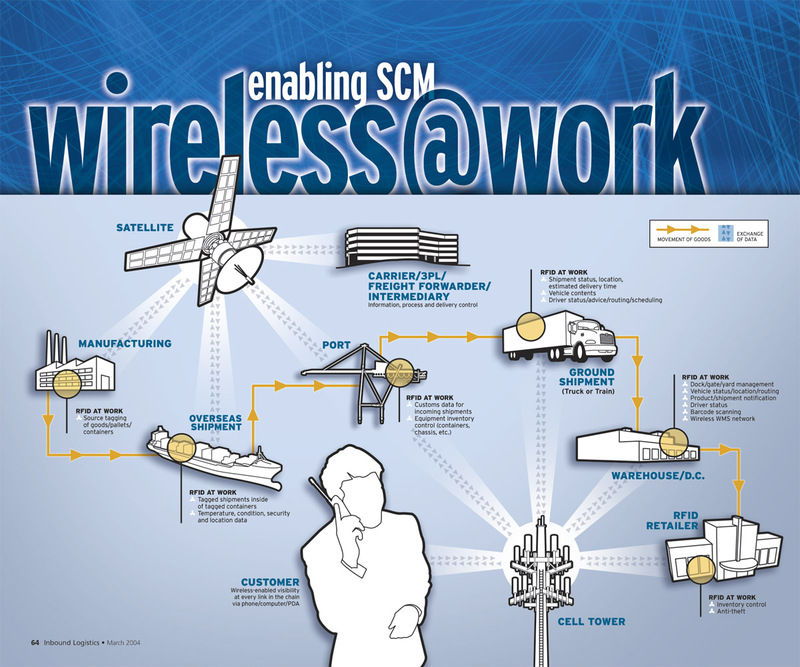 Information graphic illustrating how wireless technology is employed to improve supply chain management. The Design Challenge: Explain a supply chain management technology visually so that it can be understood at a glance. It’s a task made more difficult by the fact that you don’t yet understand it yourself, and the “this is what I want” reference you’ve been given is a publisher’s incredibly rough sketch (see below). This is the “guide” I was given. The Solution: As with any explanatory graphic, it starts with learning the subject matter yourself. That doesn’t mean becoming an expert, but learning enough about it that you can explain it to someone else. If a designer doesn’t understand what he or she is designing, how can the audience be expected to understand what’s been designed?